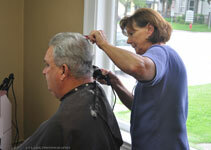 All prices are determined by the experience of the stylists, as well as the time and complexity of the service. All Stylists are self employed. Available in salon and off premises.